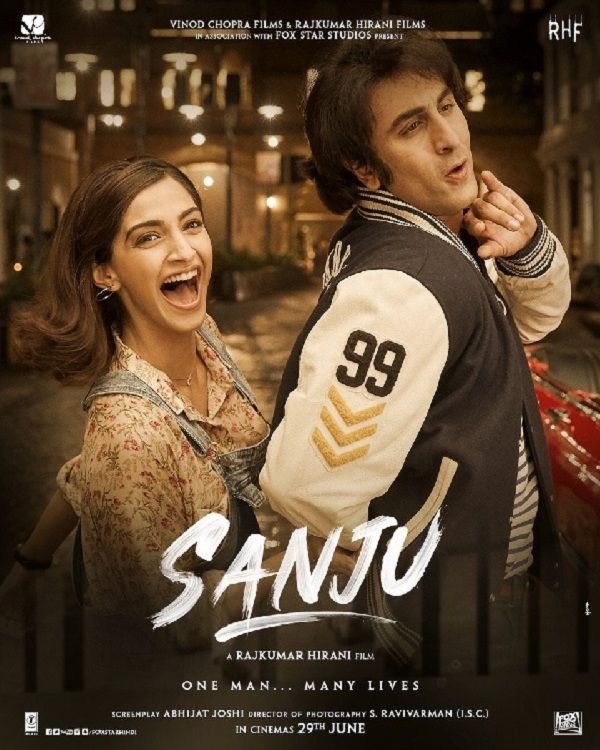 With the widely-anticipated blockbuster Sanju due to hit our screens in just a few weeks, millions of fans are waiting in excitement as the film documenting the life of Bollywood icon Sanjay Dutt has seen a new movie poster released in the run up to the trailer, which will be launched on the 30th May! Yes, that’s right folks, another trailer is just around the corner and with the last one smashing records all over the world, this one will no doubt be even bigger and better! 3 Idiots, Piku Director Raj Kumar Hirani just couldn’t help himself but tease us with the poster after sharing it on his Twitter account for the world to see – of course fans just couldn’t get enough! Packed with nostalgia, the poster will no doubt take you back to what was a crazy era for Bollywood and gives even more of an insight into what the film is all about. The unbelievable story of Sanjay Dutt is brought to live as audiences will get a fascinating insight into one of Bollywood’s most controversial stars. With an ensemble cast which also includes Anushka Sharma, Paresh Rawal and Dia Mirza it is no wonder the poster has got everyone talking. Highlighting his rise to stardom and his personal issues which saw him end up in jail, it is safe to say this poster will leave us all wanting more…and we can’t wait!